Chelsea coach Jose Mourinho has confirmed that the club’s top transfer target is a defensive signing. Reports have already indicated that Chelsea have had a bid of 30m Pounds Sterling on John Stone rejected by Everton. While speaking to Skysports on Sunday, Mourinho is currently in Montreal (Canada) with his team for pre-season training confirmed his admiration for John Stone and said Chelsea had made a bid. Jose Mourinho believes that Chelsea has a well-balanced squad and would only need similar balance in defense. Already, Luis Felipe has been in negotiation with several Spanish clubs for a return to his homeland. He insists that he would allow any player who wants to leave the club to do so and will find an immediate replacement to maintain the balance of his team. Already, Mohammed Salah has been granted permission to leave the team. Mourinho has also supported Didier Drogba’s decision to move to the MLS League in United States, following in the footsteps of many football greats including club team Frank Lampard and Liverpool legend Steven Gerrard who will both be lacing their boots for top MLS clubs this season. Chicago Fire and Montreal Impact are already in talks with the player and his agent. 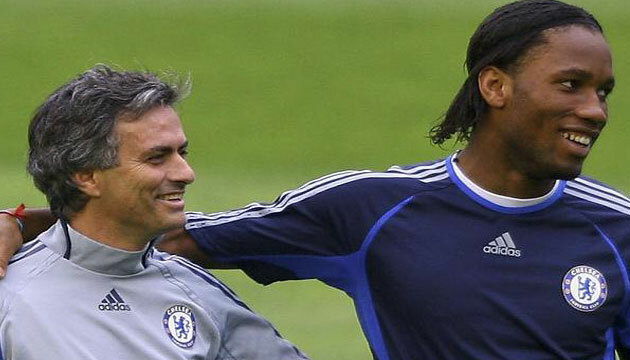 Drogba turned down a proposal to remain as coach in Chelsea opting for a move to USA instead.